Evolving the classroom and education environment through storage, security, data management and network infrastructure solutions. Whether you’re looking for a Microsoft Gold Partner to help you implement Office 365 for your students and faculty, or you need to redefine your campus network infrastructure solution for increased speed and efficiency, DynTek has the industry partnerships and experience in the education sector to deliver the educational technology solutions you need. At DynTek, we’re teachers too. We have many award-winning technology training programs designed to ensure your people know how to get the most out of classroom and campus technology. Today’s world of high-speed access to information means that young people expect to be connected. If a school is unable to provide the level of technology its students expect, it can hinder the education of the students. Moreover, school districts need ways to protect student information and store and share data. 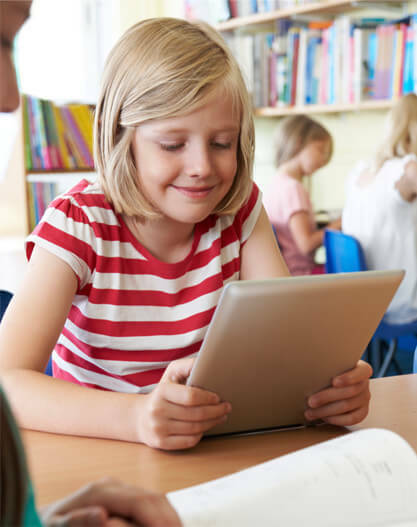 DynTek helps K-12 school districts meet the technology demands of today’s evolving classroom and education environment through a variety of storage, security, data management and network infrastructure solutions. When a university’s IT environment isn’t performing at an A-level, it affects the performance of students, faculty and administration. DynTek leverages its partnerships with industry leaders such as Cisco to create IT environments that improve collaboration, increase security, streamline administrative and operational processes, consolidate network infrastructure and more. Wherever your IT needs may lie, DynTek has the expertise to help you create a more connected learning environment that benefits the entire campus. DynTek worked with Florida Agricultural and Mechanical University (FAMU) to trim the school’s IT costs while leveraging a private cloud solution to boost network reliability and also save time and money. By virtualizing its data center and creating a private cloud network, FAMU’s team is now able to deliver new services that enhance teaching and learning and help attract top students.